The season pass is priced at Rs. 50 and can be collected from the Vidarbha Sahitya Sangha. Nagpur inaugurated the third edition of the Orange City International Film Festival which starts from today. The festival is organized by Orange City Cultural Foundation along with Nagpur Municipal Corporation (NMC) and Nagpur University; and will go on until February 10. The four-day film festival will see screening of 31 full-length films of India and other foreign countries along with 25 short films. 12 out of the 17 films Jahnu Barua made have won the National award. Rajdutt too is a celebrated filmmaker who is appreciated for his experimentation in filmmaking which is reflected in films such as Shapit, Devaki Nandan Gopala, Sarja, Pudhcha Paul, etc. The festival was inaugurated on February 7 at 5pm at Persistent Systems auditorium by guardian minister Chandrashekhar Bawankule. The two filmmakers were also felicitated. The ceremony also saw a screening of the Italian film ‘My Own Good’, directed by Pippo Mezzapesa. The venues for screening of all the films will be Persistent auditorium and two halls of Inox Jaswant Mall. Each day of the festival will have five movies being screened at both venues simultaneously from 9.30am. On February 10, the screening would only go on until 4pm as noted lyricist and actor Swanand Kirkire will deliver Nilu Phule Memorial Oration. 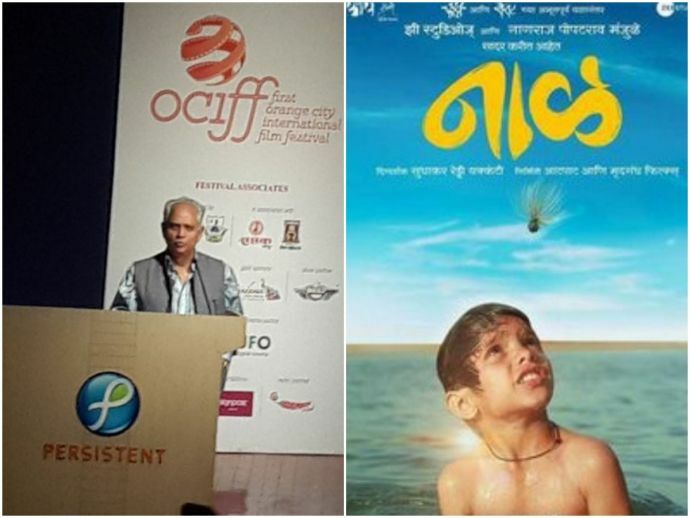 Of the 31 films to be screened, 4 will be Marathi films - Naal, Bhonga, Chumbak and Dhappa. A interactive session will be held with the directors of ‘Bhonga’, Shivaji Lotan Patil and director of ‘Chumba’, Sandeep Modi. Post the session, Dr Vikas Amte will mark the festival concluded. Srivinay Sulian’s ‘Rakkhosh’ – which was made in Nagpur - will be the only Hindi film to be screened at the festival. Sulian will also be present for the screening and interaction. Jahnu Barua will be seen in conversation with Jabbar Patel and Samar Nakhate on February 8 at Inox Jaswant Tuli Mall at 11.45am. The schedule of the festival can be found on the festival’s Facebook page.